Yesha Council, representing half a million Jewish residents of Judea and Samaria, rejects offer by United Hatzalah to fill in for MDA. The Yesha Council, which represents the nearly half million Jews living in Judea and Samaria, rejected an offer by the United Hatzalah emergency response organization to fill in for MDA, after MDA officials said Sunday that they would be forced to close most of their operations in Judea and Samaria on Monday, due to a lack of funds. Hatzalah, an organization whose response time to emergencies is extremely rapid, operates in locations where MDA will continue to respond to calls, so that not funding MDA would leave Yesha residents with no emergency response services. 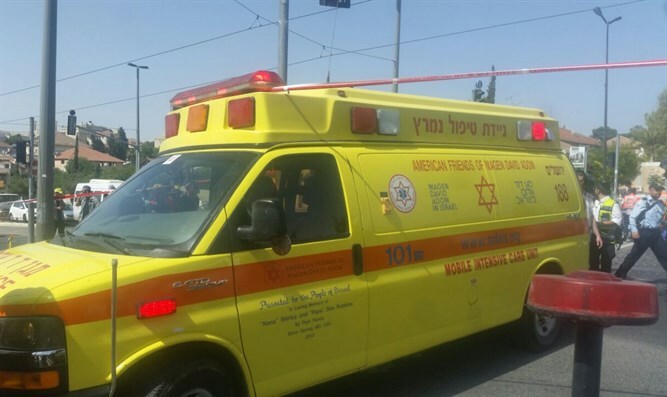 Amid the budget dispute, United Hatzalah notified the Yesha Council that it would be willing to expand operations to Judea and Samaria and temporarily operate MDA emergency response centers. "Our activities will be done voluntarily and for free," stressed United Hatzalah’s Dov Maisel in a letter to the council. On Monday, however, Yesha Council security chief Shlomo Vaknin turned down United Hatzalah’s offer, and accused United Hatzalah of bearing some of the responsibility for the withholding of funds for MDA. “We ask that instead of offering to take [MDA’s] place at the emergency centers in our communities, you go to the Finance Committee chairman and withdraw your opposition to the transfer of funds for [MDA’s] life-saving operations,” Vaknin wrote.